Chiswick, or ‘leafy Chiswick’ as it seems to be known colloquially throughout London, is an interesting area for many reasons. Not least of which is the fact the London League of Irish Writers was established here in the 20th Century. This may have had something to do with the fact W.B. Yeats made his home here, as did the poet Alexander Pope, the Italian revolutionary Ugo Foscolo, the Impressionist painter Camille Pissarro and the novelist E. M. Forster. I’m thinking of starting an Irish Writers Festival next year, as it happens. Just because I can..! Chiswick was first recorded around the year 1000 as the Old English Ceswican meaning 'Cheese Farm.’ The riverside area of Duke’s Meadows is thought to have supported an annual cheese fair up until the 18th century. Today there are numerous arts-realted festivals in Chiswick, but sadly, no Cheese fair. 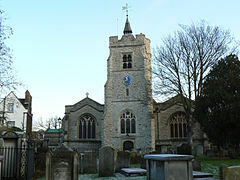 Chiswick also contains Hogarth’s House, the former residence of the 18th-century English artist William Hogarth; Chiswick House, a neo-Palladian villa regarded as one of the finest in England; and Fuller’s Brewery, London’s largest and oldest brewery. The brewery run regular tours too. Not as exciting as our Literary Pub Crawl, of course, but its well worth doing if you have any interest in how our beer is made! Chiswick occupies a meander of the River Thames used for competitive and recreational rowing, with several rowing clubs on the river bank. The finishing post for the Oxford and Cambridge Boat Race is just downstream of Chiswick Bridge. I’ve always been an Oxford - dark blue - supporter. Not that I went anywhere near Oxbridge on my council estate, housing project, secondary modern school, of course - but we had a family holiday there one year. And I’d never been to Cambridge. It’s also the home to many film stars and celebrities and house prices reflect this. But it still has some good bo-ho enclaves, as you will discover if you stick with me! And if you are nursing a pint, need to write or feel like a creative fight, Chiswick’s sheer gentility is more honest and creative than the arguably now false artifice of East London. It’s no coincidence, I think, that media private members club, Soho House, opened their Chiswick branch, High Road House at almost the same time as they expanded east to Shoreditch. Unlike many other parts of this great city, there are very few bohemian 'tourists’ in Chiswick. It’s posh, but not posey. If someone looks bohemian in Chiswick, chances are they are. It’s got no international showbizz reputation, which is why, perhaps, so many international showbizz people live here. And it has one of the lowest crime-rates in the city. If you can survive the extortionate rents, it’s a great place to create. And Soho’s poseurs (and now equally eye-watering rents) are only 30 minutes away!